The Carolyn 5 piece dining set features beautifully styled metal chairs with upholstered seats and crafted inlay on the backs. 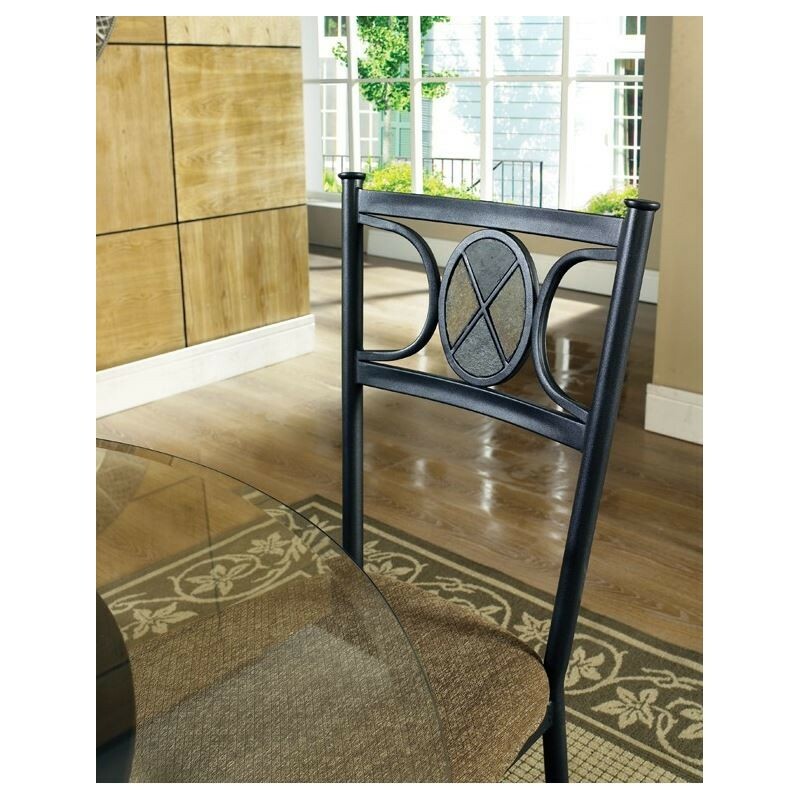 The table has a glass top support by a black metal base. 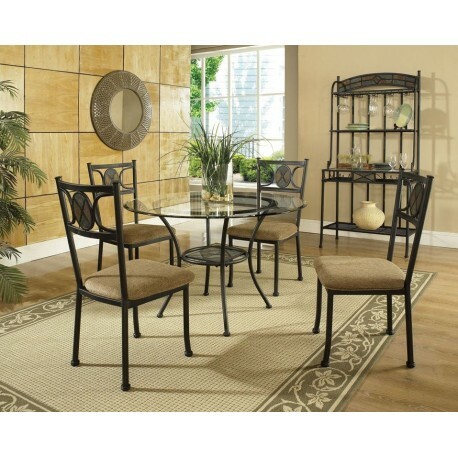 CR450S Carolyn Welded Side Chair 19" x 21" x 39"
CR450BR Carolyn Bakers Rack 35" x 19" x 72"